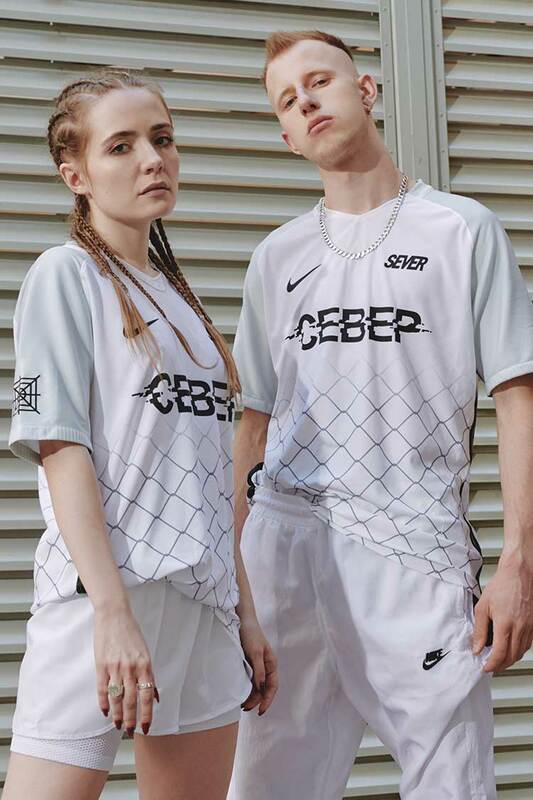 Inspired by the Russian street football arenas "Korobka", Sever celebrates the freedom of Russian street football with this limited-edition top. 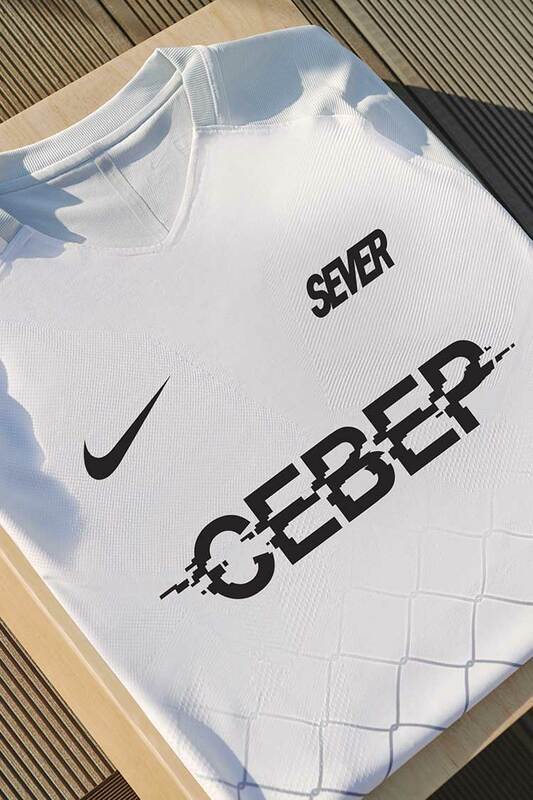 Vsevolod "Sever" Cherepanov believes that real Russian football isn't played in stadiums, it's played on the courts—"korobkas". 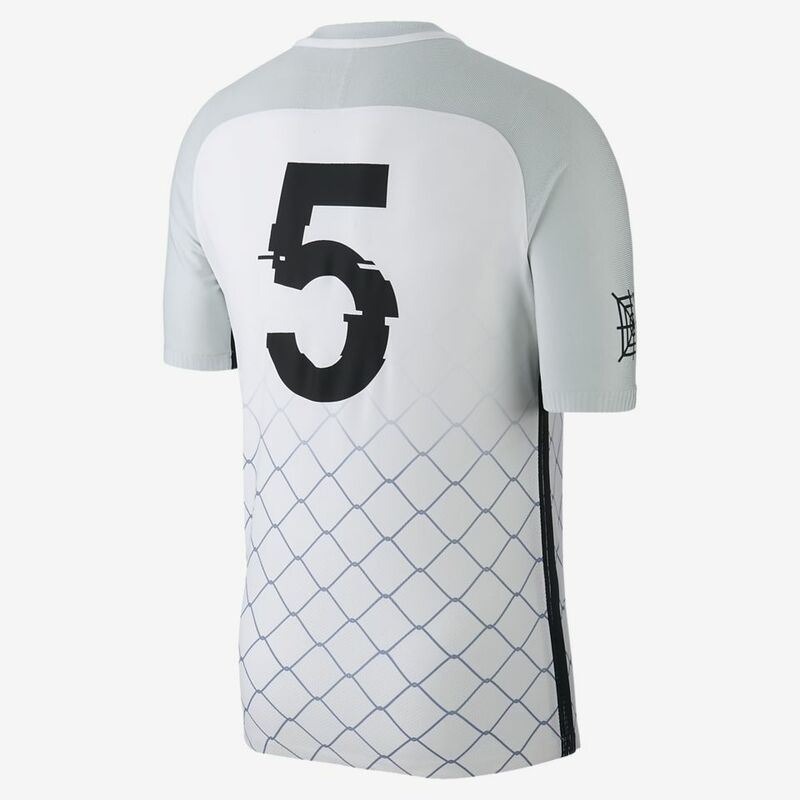 The freedom of raw street football is the main inspiration for his professional-grade football shirt. 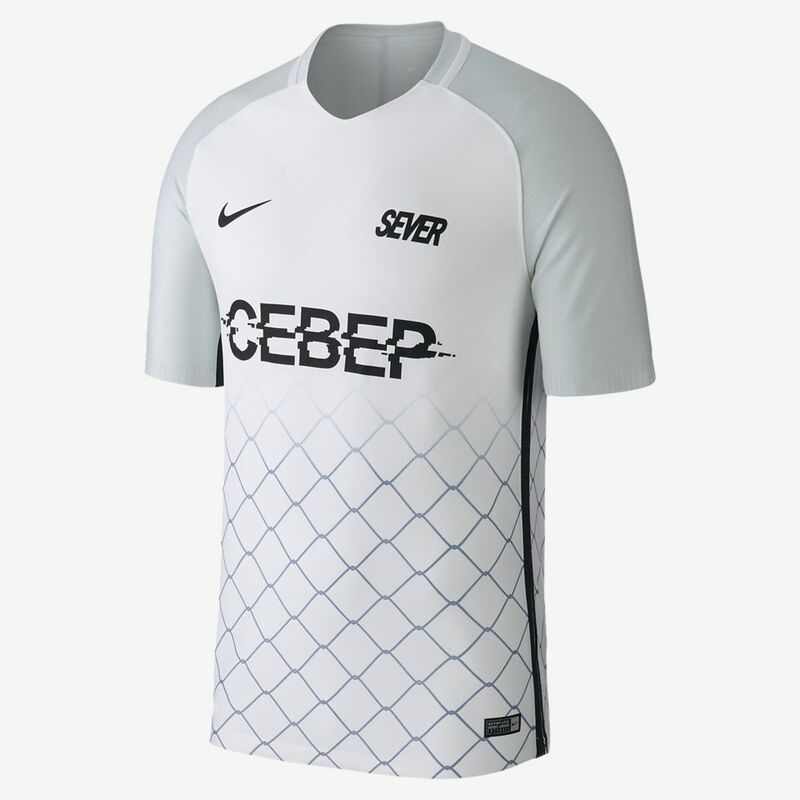 The shirt features a grid pattern, based on the chain-link cages that surround korobkas. 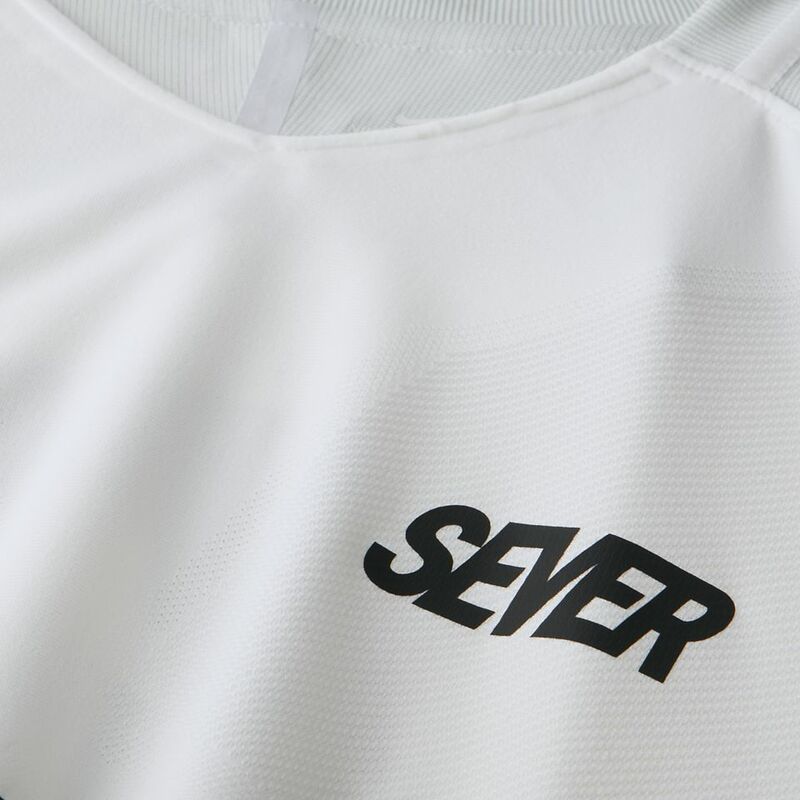 Above the pattern, the Russian translation of Sever's name is emblazoned in the sponsor position with a glitched font. 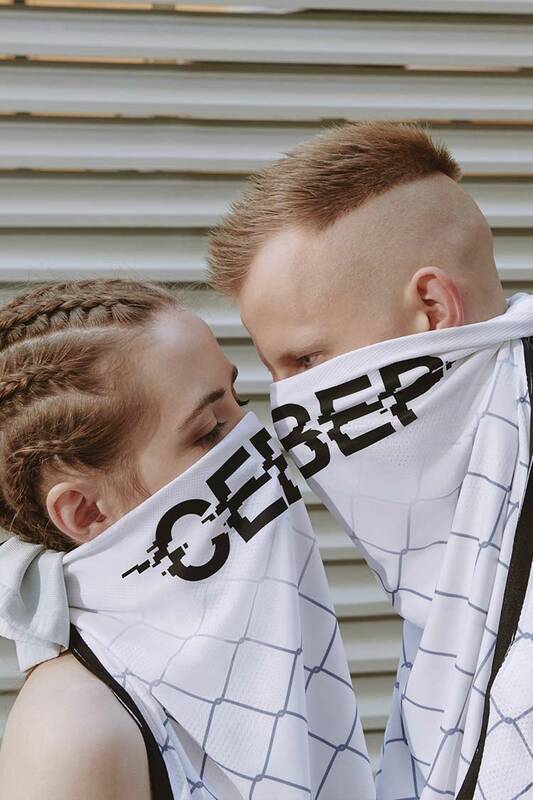 One of the most promising young designers, 19-year-old Vsevolod Cherepanov is a rising star of contemporary street fashion. He started his career as a fashion model at Moscow's LUMPEN agency and soon became its frontman. Just like the agency changes the beauty standards within the industry, he wants to transform public views on fashion. 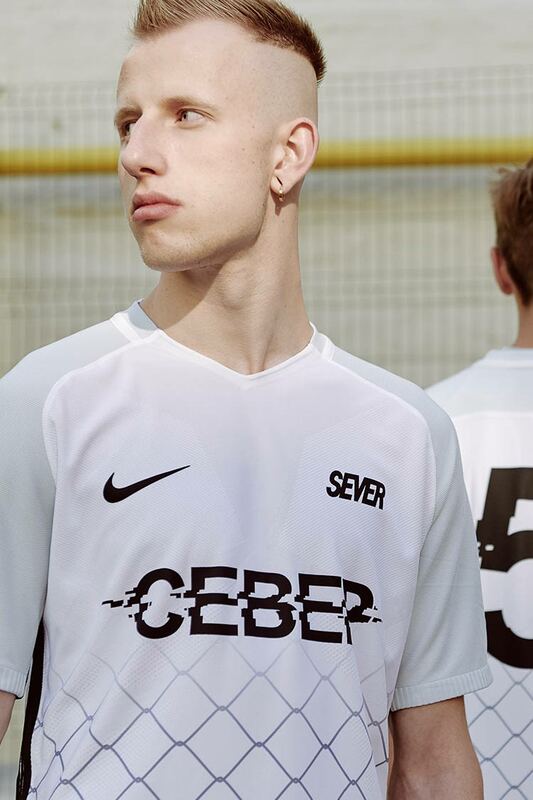 His own brand "SEVER" is inspired by the street culture of Moscow suburbs combined with comfortable sports silhouettes.